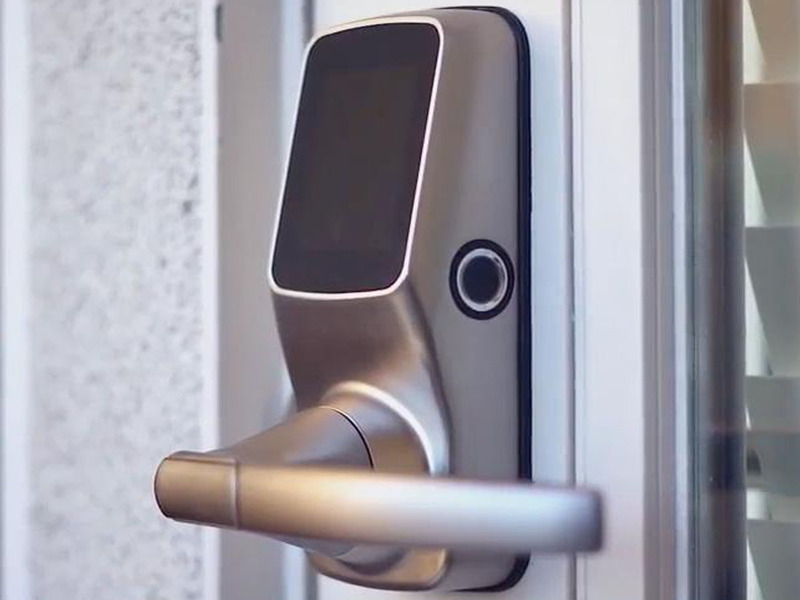 A high-quality smart lock has a variety of features that make it easier for you to let the people you want in your home and for keeping out the ne'er-do-wells you don't want. I like the Lockly Secure Plus Smart Lock because I can unlock my door with a fingerprint reader, it keeps a log of who enters the house based on the codes and fingerprints used, and I can choose to have it lock automatically after a set amount of time. 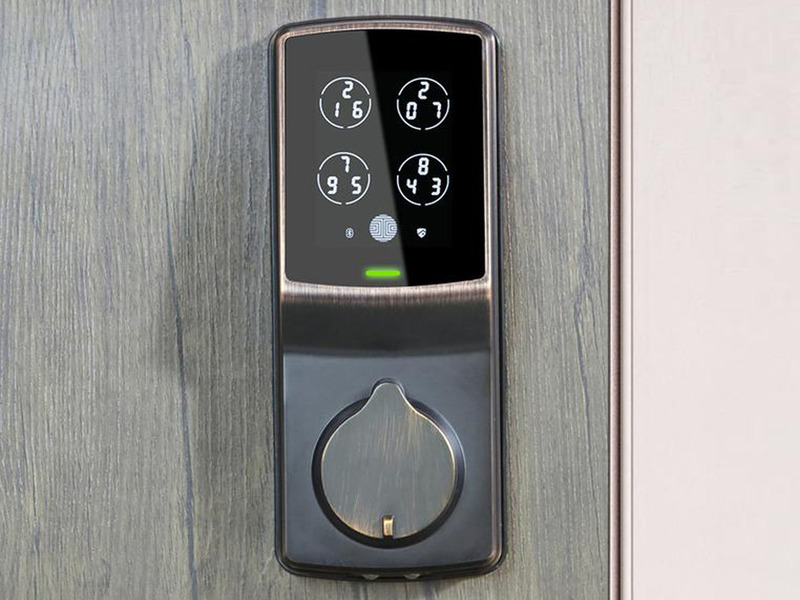 Though it's more expensive than most smart locks (currently $279.99 on Amazon), it has many high-end features, including fingerprint entry, a virtually hack-proof touchscreen keypad, and is backed by a limited lifetime mechanical and finish warranty. Read Insider Picks' buying guide to the best smart locks for more options here. Do you have a secret key hidden outside of your house in case of emergencies? Perhaps, you have a particularly easy-to-pick lock that allows you to gain entry without your keys. It's nice to have a way to give friends access to your home and to get in if you're locked out. Yet, no matter how clever you think you may be, burglars can also take advantage of these weaknesses in your security. 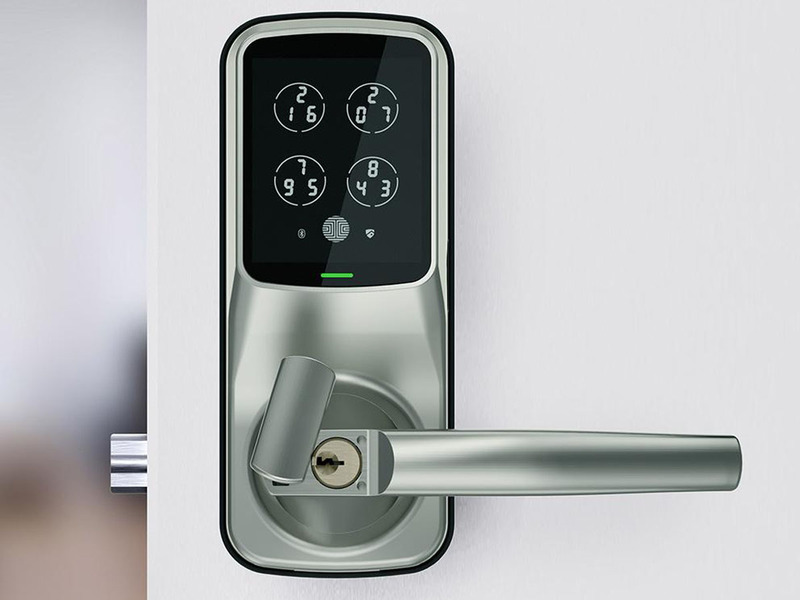 This is where smart locks come in handy. With most smart locks, you choose temporary or permanent access codes to give to people you trust, service providers, and house guests. But, what if someone you don't trust is able to see one of your guests enter the code? Your security is compromised. The Lockly Secure Plus Smart Lock addresses this with its PIN Genie touchscreen and fingerprint entry. We'll look at these features and more below. Lockly offers smart locks in a number of styles. You can choose between a smart deadbolt or latch in Venetian bronze or satin nickel. All of the options have the patented PIN Genie touchscreen keypad, but the Secure Plus also has a fingerprint reader. The most popular alternative is the non-biometric smart deadbolt in Venetian bronze. I tested the Secure Plus latch in Venetian bronze. The PIN Genie technology is brilliant in its simplicity. The touchscreen displays four circles with three numbers between 0-9 inside of each. You simply enter your 6 to 8-digit access code by pressing the circles containing your numbers in sequence. Each time the touchscreen is displayed, the positioning of the numbers changes. This makes it virtually impossible for an onlooker to figure out your code by just watching you enter it. You can choose to have the lock beep each time you press the touchscreen buttons, or you can turn that feature off. I found the beeping helpful to tell me that my presses registered. The Secure Plus can store up to 99 fingerprints. And, once your fingerprint is stored, you just press your finger on the scanner to the right of the touchpad, and the door unlocks immediately. The lock operates on four AA batteries, which are included and should last for up to a year under normal use. My lock's battery level is still at 100% after more than a month of use. The app and the touchscreen notify you when the battery is low. And, if the battery dies on you, you can use a 9V under the outer handle to activate the lock temporarily. The app is available for iOS and Android, or you can use the lock without a smart device. It also comes with two back-up keys. The lock is designed to work in temperatures between -4 and 140 degrees Fahrenheit, but I found it still worked when temperatures dropped to -15. It took me about an hour to install the lock, but a more skilled handyman could probably bang it out in under half an hour. I just hit a couple minor hiccups. First of all, the instructions were great, but there were a couple of mislabeled parts. For instance, it said to attach the inner handle with part Q, but it meant P. This was easy enough to recognize. The outer handle comes facing to the right, but you can adjust the handle direction to fit your door's orientation, which is what I needed to do. The directions were confusing, though, because they initially only have you switch the orientation of the outer handle. I was left wondering how to switch the inner handle and after a few minutes of scanning the directions, I gave up. Then, when I was further along, the secret was revealed to me. Once it was installed, I set the main passcode and proceeded to try it out without reading the instructions. I failed. This was because I didn't hit the OK button after entering the code. The OK button isn't intuitive. It looks like an electrical circuit … or possibly a fingerprint. Once I figured this out, it was easy enough to use. I gave the directions to my family members, and they didn't have any trouble. The Lockly app made using the lock enjoyable. It keeps a log of what codes and fingerprints are used to enter the house. You can also program it to auto-lock after 5 seconds to 5 minutes, whatever you prefer. This was incredibly helpful since I have a teenager who never seems to remember to lock the door. I also liked that the app tells me if the door is currently locked or not. And, I can lock or unlock it. This is useful when I'm in bed ready to go to sleep and am not sure if I locked up or not. I don't have to get out of the cozy sheets to walk downstairs and check. After three failed attempts to unlock the door in five minutes, the lock automatically enters "safe mode." At this time, you must either use the correct fingerprint or enter the correct access code twice to unlock your door. If you get the code wrong, then you are locked out for at least 10 minutes. If you fail to enter the code correctly again, you're locked out for 20 minutes and, after the third time, 30 minutes. You can choose to disable the touchscreen completely by flipping the switch above the inside door handle. In practice, I found the keypad and the fingerprint reader worked as advertised. Once I got the hang of the touchpad, it was effortless punching in my code. And, I didn't have any problem with my fingerprint not registering. It worked the first time each time. The most important part of a smart lock is security. While I couldn't find any security problems with this lock, I decided to look online to see if there were any concerns expressed by experts and buyers. Experts describe the lock as "hack-resistant for sure." There weren't any security complaints from buyers on Amazon at the time of this writing. I had trouble pairing the lock with my phone at first. When I entered the passcode that came with the Secure Plus, the Bluetooth pairing function on my phone kept giving me an error message saying I'd entered an invalid passcode. On the Lockly app, I was able to communicate with the lock regardless of the apparent pairing failure. There are a number of features that other smart locks have that the Lockly Secure Plus does not. For instance, there isn't an auto-unlock feature. Also, some smart lock models have loud alarms that sound when someone is trying to force their way in. The Secure Plus does not have this. Also, the Secure Plus does not have Wi-Fi capabilities and doesn't integrate with other smart devices. However, Lockly just announced that they are releasing the Secure Pro, which comes with a Wi-Fi hub and can be used with Alexa and Google Assistant. It should be available in March 2019. Overall, I'm a big fan of the Lockly Secure Plus. Sure, I wish it was Wi-Fi enabled and had an alarm built in, but it makes up for these shortfalls with simple functionality. The auto-lock feature protects our home when our teen forgets to lock up. And, the PIN Genie and fingerprint entry options are painless to use. Instead of leaving a key under the doormat or keeping that back window unlocked, I recommend investing in the Lockly Secure Plus for hassle-free security.